Disclosure: We were sent a sample copy of The Candle Classic Bible to review. All opinions expressed below are my own. 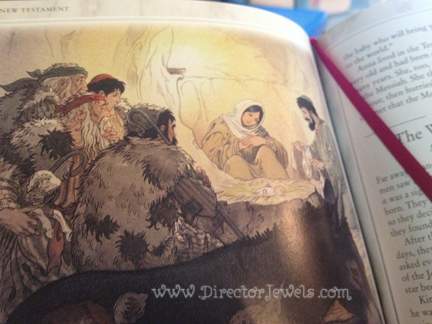 When we were given the chance to review The Candle Classic Bible: Retold in 365 Stories, I actually hesitated at first. My kids are just two and a half and nine months old. We read tons of Bible story books to them, but this title - at 256 pages long - seemed like it might be too much. And in some ways, that may be true. 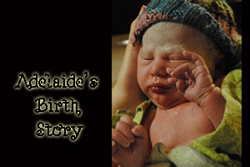 When I read this book to Lincoln or Adelaide, I don't expect that they will fully understand everything conveyed in the stories - but that doesn't mean it is too early to introduce them to these Biblical truths. The first 261 stories are dedicated to the Old Testament, with the remaining 104 telling New Testament stories. This week we've been reading the stories about Jesus in the New Testament - His birth, how He loves the little children, and the feeding of the 5,000. 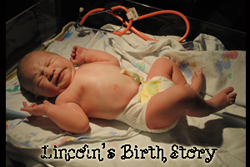 Lincoln loves to point out the animals, boats, and babies in the illustrations. 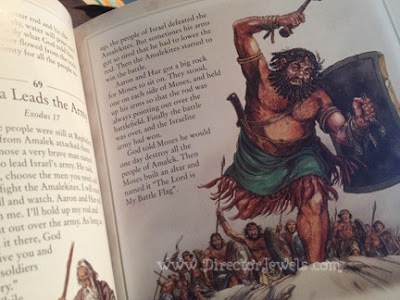 The artwork in this Bible is beautiful, although some of the images may be a little intense for a very young child (example: Samson killing a lion). 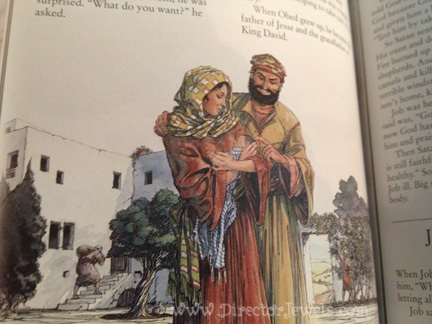 As my kids grow older, I can see the illustrations inspiring conversations about Biblical history. 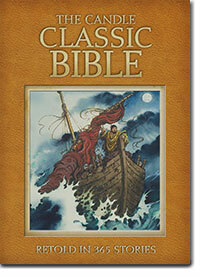 The Candle Classic Bible can be purchased from Amazon and other online and local retailers. I am glad to have this book in our family's library, and I know that it will be a title that is frequently used. 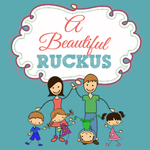 It will be perfect for family devotions - and if we read just one story a day, it will last a whole year! Thanks to Kregel Publications for my review sample. I received no compensation for writing this review and all views expressed are my own. For more information, you can read my Disclosure Policy.